Gear up for Spring GIVEAWAY! What better way to kick off a new golf season than to have a series of giveaways? 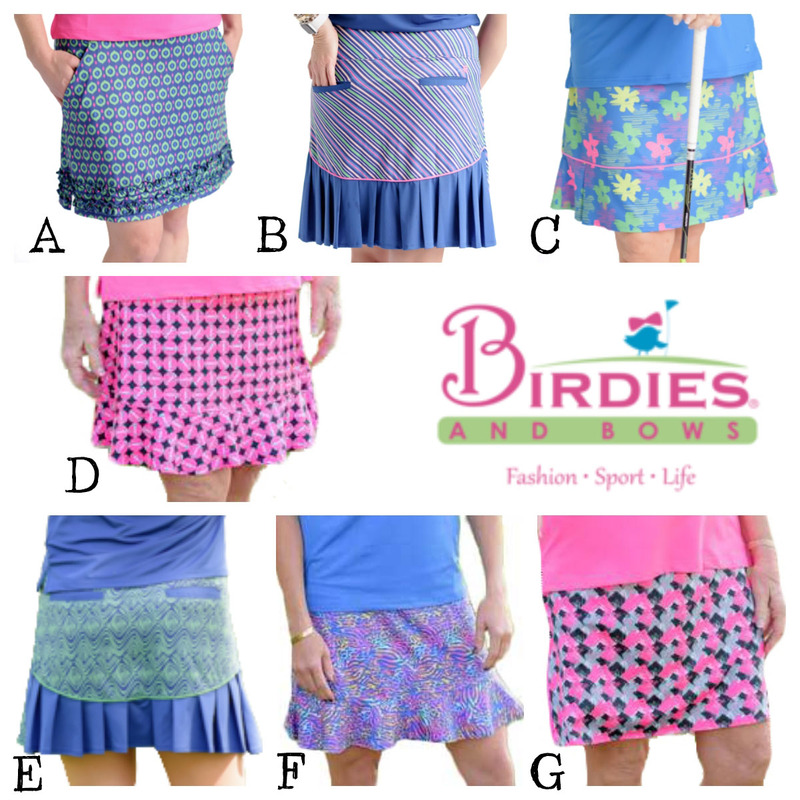 Our first giveaway is for a Birdies & Bows skort. These skorts have been some of our best selling skorts for the past 2 years and our customers love them! They're not only comfortable, but these skorts are flattering on all shapes and sizes. Plus, they are designed to coordinate with different color tops, so you have lots of outfit options with a single skort. 2. Or, if you aren't on Facebook, then you can forward this email to a friend who would look amazing in one of these skorts AND copy us on the email (marketing@pinkgolftees.com). Be sure to say which skort is your favorite! We will randomly draw the winner on 4/5 and the winner can select the skort of their choice from this collection.